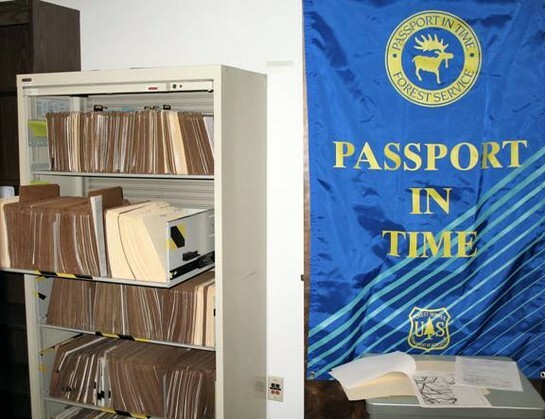 The Malheur National Forest has just concluded our 13th winter Passport In Time (PIT) volunteer project. This year we focused on transferring data from almost 30 years of cultural resource surveys on the Forest. During that time we recorded over 4,500 archaeological and historic sites. These are recorded on paper site forms of variable accuracy and completion. The Forest Service has recently developed a cutting edge computer database to organize all recorded sites from across the nation. 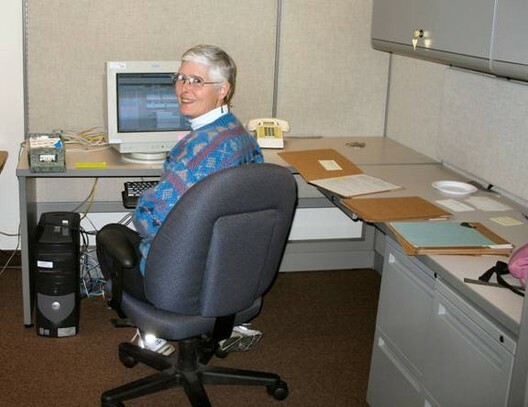 During the last five years Malheur Forest employees entered data from 1,000 sites when we could sneak the work in during infrequent slow times. This means we have averaged around 200 sites per year. We realized that at this rate it would take us 17 additional years to get all of our records in the database! We turned to our friends in the Passport In Time program and the response has been fantastic! Ten volunteers contributed a week or more of their time for a total of 440 hours donated to this arduous task. Our volunteers entered the preliminary data for over 2,500 sites during the five weeks of the project. We now have 3,646 sites in the national database, representing 80% of our legacy data! Although not as exciting as survey and testing of archaeological sites, efficient and accurate management of site data is critical to our job of protecting America’s archaeological and historical resources. We could not do it without your help. Winter 2007 Passport In Time volunteers: Chris Ciullo, George and Jane Collier, Deanna Ertz-Berger, Joan and Michael Fager, Jan Smith, Bob and Carol Stowell and Steve Waylett. Malheur National Forest employees: Tuesday Kimball for organizing and leading the project, Mary Robertson and Lisa Officer for stepping up and helping in the crunch, and Jennifer Harris for her tireless support of the program (and the snacks).